I can barely remember a time in my life before acne. It was a pretty typical story--I hit puberty and bam, I had acne popping up all over my face. I was slow to react as I just assumed this is the way things were going to be for the rest of my life. 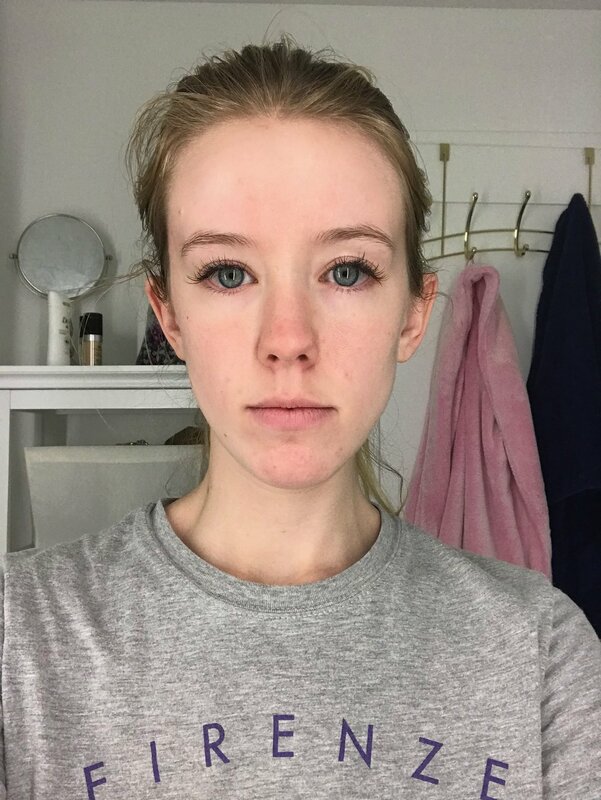 I became a relative expert at covering it up, finding concealers and liquid foundations and powders and cremes galore to achieve a remotely normal complexion. My general skincare regimen was to attack it full force and dry my skin out as much as possible. So, coupled with allergies that made my nose red and stuffy at most times, I often had shiny red skin. I would hide my face under layers of makeup at all times. No matter what I was doing or where I was going I could not leave the house without a full face of foundation. It caused me severe anxiety and limited my ability to participate fully in certain activities (like swimming) if there were a concern of my makeup melting or rubbing off. I was scared to wear sunglasses until I needed them to drive because of the marks they would leave on my nose that couldn't just be simply rubbed off but had to be reapplied with makeup. Even once I started wearing them more frequently I would have to carry concealer with me to fix the marks. Even as I'm writing this in past tense, in a lot of ways these anxieties still hold true, and I am so self-conscious about my skin. 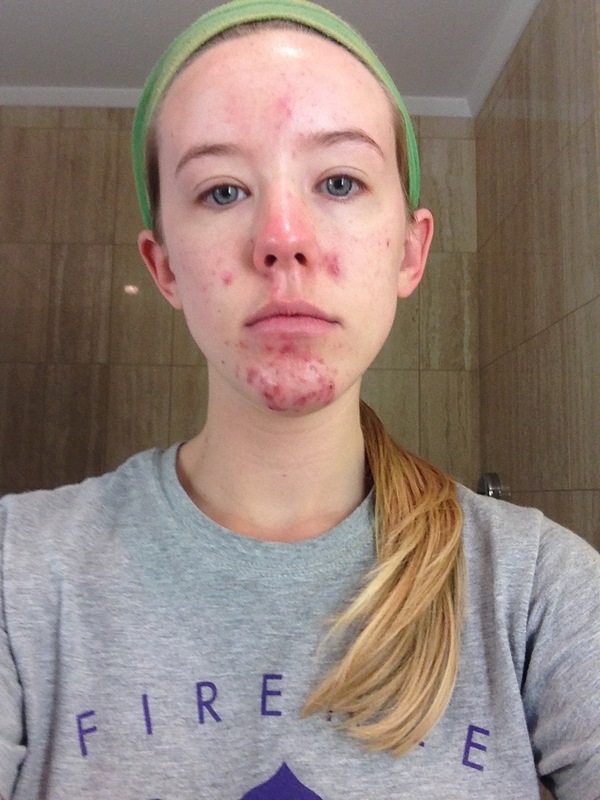 Acne wasn't just a cosmetic issue, either, but because I suffered from cystic acne would be extremely painful. Oftentimes when I had a breakout there would be several cysts marring my face. The infection would sometimes cause the lymph node under my chin to swell up. I would have both acne and a huge frog-like chin that was tender to the touch. I started to seek treatment in high school and I went through all of the different topical options, then started on the antibiotics, and eventually some combination of the two. By the time I got to college I'd given up and just dealt with the acne as it came for the most part, applying harsh spot treatments and making all the home-made remedies I found online. The real turning point came, however, right before I left to study abroad in Florence, Italy. Due to the numerous and sometimes severe side effects of the drug, it has become strictly regulated by the FDA. As a woman, you must use two forms of birth control because serious birth defects occur when on isotretinoin. You have to register with a system called iPledge which monitors your prescription and requires a series of check ins. You answer questions every month about your knowledge of the medicine and its effects. You get a blood test every month to track the effects of the drug on your liver. And you meet with your doctor every month to assess your progress. They do not make it easy to get your prescription. Without jumping through every single hoop and checking every single box within the time frame you are allotted, your prescription can be withheld. But if you are diligent and follow the instructions and stick with it, you can make it work. Once you start taking the drug, you will likely start out on a lower dose to see how your body reacts. As you get used to it, you will take higher doses depending on what your doctor feels is best. Over the span of six months you will continue to take the pills every day. They work best when taken with food--in fact are twice as effective when taken with food. Unfortunately, I experienced a lot of side effects and my path with Absorica wasn't exactly a smooth one. At first I noticed my skin getting dry and my lips getting severely chapped. These were expected symptoms. I then started having dizzy spells and even fainted on the subway one morning. I was having trouble with my vision and it was affecting my mood. I could tell my immune system was weakened and I got cold after flu after cold. About four months into my first round, on June 1, I broke my foot. I tripped while wearing heels and fractured my fifth metatarsal, landing me in a cast then a walking boot for the rest of the summer. I may never really know if my bones were weakened by the medication and thus more prone to a break. I immediately ceased the medicine as it is known to interfere with healing. A year later my foot was healed and I began to get cysts again. I wanted to try Absorica again and actually complete the treatment this time. My doctor agreed and we started off with the lowest dose. Again, I began having tons of the same negative side effects. We were not able to increase my dose much higher because it would make them worse, so I settled for slow and steady. After five months I began to get really severely depressed. I've struggled with depression my entire life and there could be any number of factors that caused it. However one of the most talked about side effects of Absorica is that it can worsen depression. I decided the medicine wasn't worth what I was experiencing and stopped. Have you struggled with acne problems? Have you ever taken isotretinoin yourself? Tell me about your experiences in the comments below.